Crimson Lotus tea is a Seattle based company created by husband and wife team Glen Bowers and Lamu Dawa. They specialize in puerh tea and Chinese teaware. They are bringing their passion for puerh to the consumer. Puerh was like nothing else for me. Drinking it that first time I had a deep emotional connection to it. A few months later I found that coffee held no power over me anymore. I was quickly falling for puerh tea. I half joked with my then wife Lamu that we should start a company to introduce puerh tea to people like me. People who have been looking for puerh their entire life and have no idea it exists. I told her we could go to China each Spring and visit her family in Yunnan and source tea to bring back. She was very enthusiastic about the idea. How did you get into puerh, and why focus a company around it? I was traditionally a coffee person. I drank tea, but wasn’t passionate about it. Coffee was my passion. I felt like I was on a coffee journey. When I say I was passionate about coffee that is putting it lightly. I roasted my own beans at home and obsessed to the finest details about sourcing and making coffee. That all changed a couple years ago at Hidden Peak Teahouse in Santa Cruz, CA. That was where I had puerh for the first time and was introduced to brewing tea gongfu style and Chinese tea culture. They told me the tea came from a place in China called Yunnan. 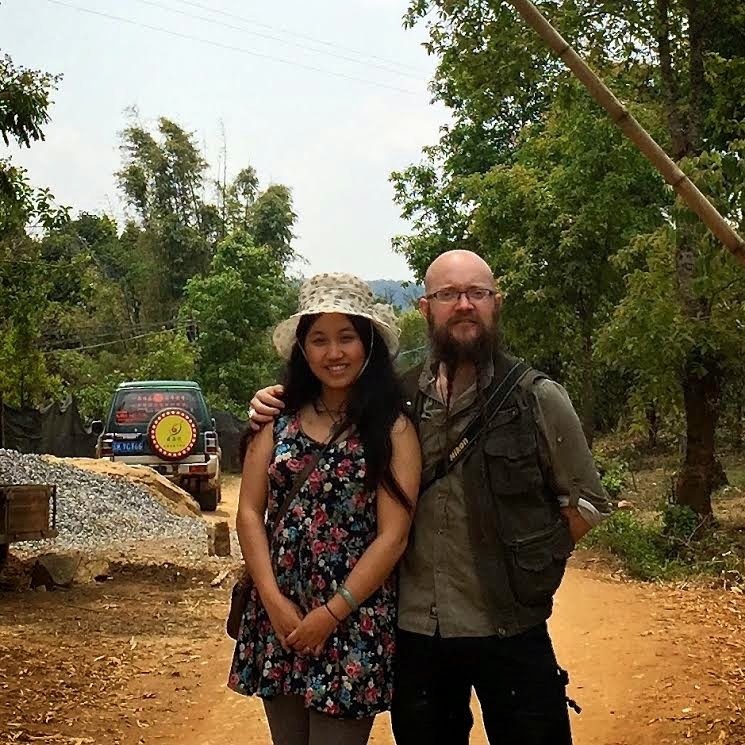 I was surprised because the woman I was going to marry was from Yunnan. I called her and told her I had tried an amazing tea called puerh and was told it was from Yunnan. She told me that of course puerh was from Yunnan. I asked why she had never told me about it. She said she just thought everyone knew about it. That was the start. We went in cold knowing nothing about tea or running a tea business. I do have a lot of experience in technology and that has helped. She has a degree in Accounting and of course is fluent in Chinese and familiar with Yunnan. We make a really great team. I see that you make trips to China to source your tea. What are the challenges of sourcing puerh in China? Language and culture is the biggest barrier. Lamu helps a great deal with that. Physical location is also a challenge. Yunnan is remote. Yes there are airports to a few places in Yunnan now, but to get to the good tea growing areas it still takes a lot of time and energy. We spent weeks this year navigating bad roads, and no roads, to bring back great tea. Tell us about one of your most favorite experiences from one of your trips. They say that the harder the trail, the tastier the tea. :-) The hardest place for us to get to were the remote wild trees of Kunlu Shan. The road out there is about 95% finished now, but that last 5% is all mud after the rains. We were driving an aging station wagon we borrowed from Lamu’s father. It barely made it through. 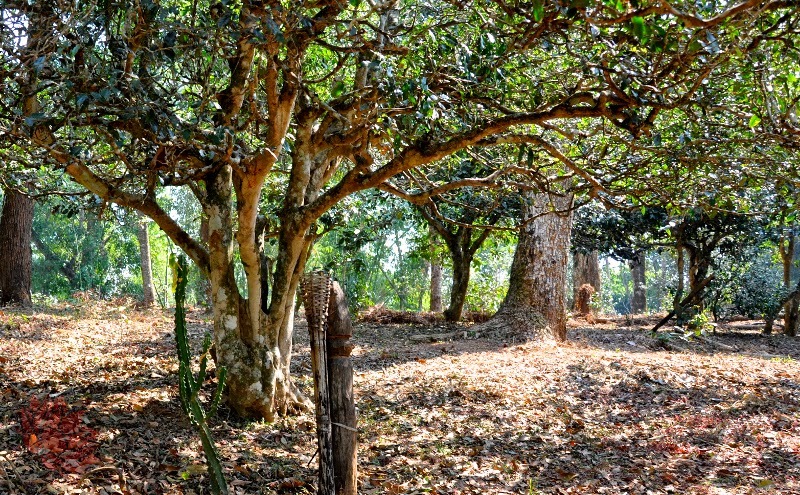 Then after arriving at the village it was a 3 hour hike deep into the mountains to get to these really old trees. These trees are at least 30 feet tall. They are skinnier than telephone poles and reach to the ceiling of the forest. The leaves grow near the top and there are no low branches. The villagers shimmy up the trees barefoot with no ropes or harnesses. It takes one person picking like that all day to make less than a kilo of final product. It’s a lot of work to make such a tiny amount of tea. The tea is really amazing though. We named it “Slumbering Dragon”. Something about these ancient trees resting on top of the mountain just gave us this image of old dragons sleeping. This tea isn’t ready to sell yet. It needs to age a while longer. Figuring out what puerh to try can be daunting. What advice would you give to someone interested in trying it for the first time? Samples are your friend. That’s what you need. Most reputable tea shops will sell puerh in samples. Find a nice sample of a young sheng / raw. Find an aged sheng / raw sample. Then get a sample of shou / ripe puerh. That will give a good window into the spectrum of flavor possible with puerh. How do you reach tea drinkers that are wary of puerh? They just have to try what we have. Once they do their eyes are opened to what is possible with puerh. There is so much garbage puerh out there. It’s really sad. So many big tea shops in the US know so little about puerh and just sell whatever they can get their hands on. Quality puerh speaks for itself. What is your most exciting tea find? That’s a tough question. We’ve found some really amazing teas. We have a 2006 dry stored Xigui that is pretty great. We were really happy to get a hold of some of that. The material in this tea was used to bribe a government agricultural official 10 years ago. This official apparently has a great taste for tea and can’t be bribed with low quality material. He is probably sitting on a fortune of puerh. He sold this material to a friend of ours to pay off some debts. He pressed it into cakes and we bought it. The Kunlu wild trees were also really exciting for us. Each tea that we decide to carry is chosen for a reason. We drink and try probably 30-50 teas before we settle on the ones we want to bring back. What fuels your passion for tea? I want to find the people like me. I want to find the people that are looking for a tea like puerh but don’t know it exists yet. I wonder how different my life would be like now if I had known about puerh 10 years earlier. Puerh is an amazing tea with such deep connection to history and culture. It’s an honor to be part of that history. I’m excited to see how excited our customers get when they get our teas or teawares. We put a lot of time into creating some really amazing teapots this year. We found an artist we liked in Jianshui who had an eye for detail as critical as my own. We gave her our ideas for teapot shape, style, size, and finish and she made them for us exactly to our specifications. We’ve been selling quite a few of them. A lot of our Instagram followers all got their teapots on the same day and to see them all posting pics at the same time was really cool. I drink tea before breakfast most mornings. I have a little Chinese tea table in our living room. I usually get up first and brew tea gongfu style for myself and Lamu in the mornings. It’s nice. It helps set the mood for the day. How would you like to grow your company in the future? Really I just want to see our customers getting quality tea. If our customers are happy and they buy our teas then we get to go back to China to source more. It’s a simple equation. Everyone is happy. Thank you so much for the interview, Glen! 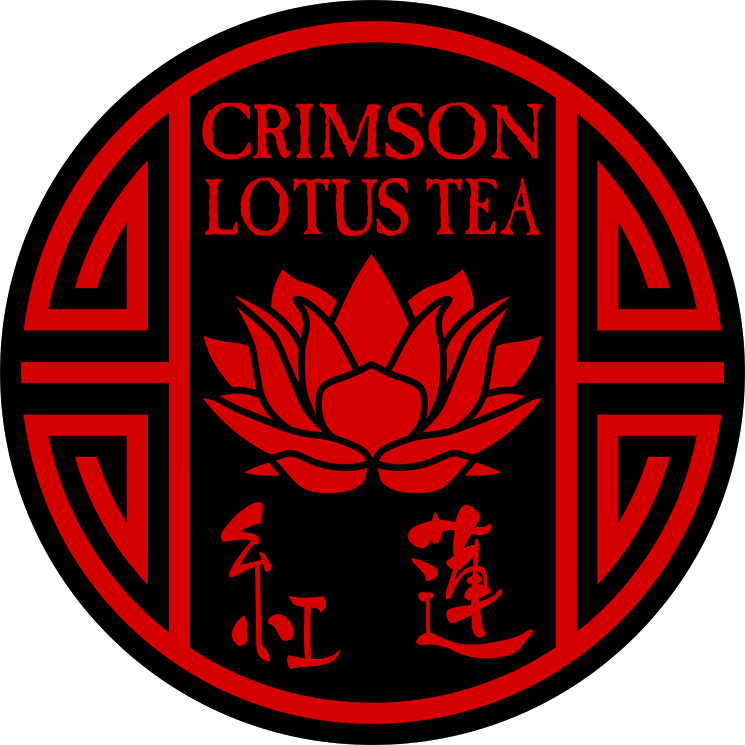 To learn more about Crimson Lotus Tea, you can visit their website here.